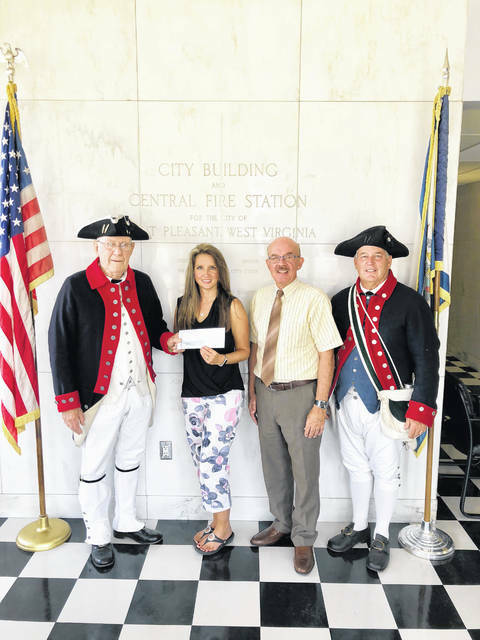 The City of Point Pleasant recently presented the annual donation for the upcoming Battle Days festival to members of the Battle Days committee. Pictured from left to right is Jack Coles, City Clerk Amber Tatterson, Mayor Brian Billings, and Ed Cromley. https://www.mydailyregister.com/wp-content/uploads/sites/24/2018/09/web1_0915.Council.jpgThe City of Point Pleasant recently presented the annual donation for the upcoming Battle Days festival to members of the Battle Days committee. Pictured from left to right is Jack Coles, City Clerk Amber Tatterson, Mayor Brian Billings, and Ed Cromley.